Document Scanning is changing the way companies use and manage their documents- digitized documents can help you maintain every aspect of document management. Digital filing systems allow you to modify, share, and distribute your documents through a proprietary or centralized system. Use these articles and information to help you price out your scanning project- the more you prepare and understand the process, the easier the transition will be. Determining that you need to do scanning is one thing. Figuring out how to do it- and how much it costs- can be a little more difficult. Regardless of which option you choose, you’ll have several tasks to complete and a lot of choices that you have to make to prepare your company for electronic documents. This white paper is designed to help you through that process. 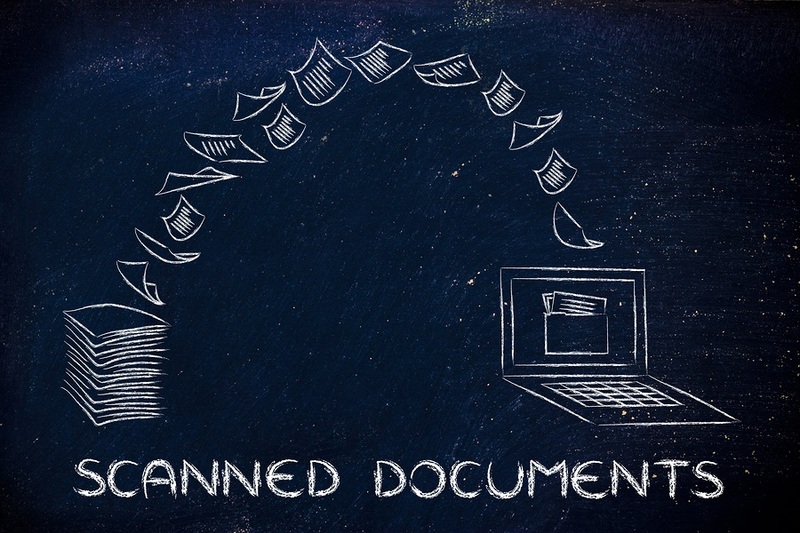 Learn more about document scanning and how to manage and estimate your shredding project with the articles, blogs, infographics and more below! Cost is always important when considering a change in your business. However, before you can price out the project you have to figure out the scope of the job. This video explains how to estimate the time it will take to transition to a paperless office so you can then price out your scanning project. Every line of work has their own needs and requirements. That is why specific industry focused electronic document management systems are so beneficial to users. After having your documents scanned you can have them imported into a system that is specialized for your industry, making the transition as smooth as possible. Read more to find out how document scanning us transforming your industry. Healthcare is one of the industries for record scanning with the encouragement of the meaningful use act.This video shows the positive impact that electronic records have on a practice. When starting a scanning project you may debate whether or not your should use internal scanning or hire a scanning company. This article explains the benefits of both options to help you understand which solution may be the best for your business. We know that not all scanning jobs are the same, and that is why you need a customized scanning solution to fit your needs. This article covers some of the unique scanning jobs that we can handle. Now that you’ve finished scanning your records to make the conversion to a paperless office, the next step is implementing a system for managing your digital documents. Read more to learn about some of the top advantages to an EDMS and how it can help to maximize the efficiency of your work and streamline your business. Get Free, No Obligation Quotes on Document Scanning Today! If you have any questions about our services, or already know what you need, feel free to fill out the form to the right or give our experts a call at (866) 385-3706.